With a nickname like "The Sunshine State," what better place to visit for senior trip than Florida? Encrusted with miles of white sand beaches and surrounded by warm ocean waters, Florida is a vacationer's paradise. And, after four years of high school, graduating seniors deserve to take a break and celebrate in style. Florida also boasts numerous theme parks, some of which host special parties just for high school graduates. Whether your new grads want to hit the beach or brave some thrill rides, options abound when it comes to senior trips in Florida. Though not on the coast, Orlando is senior trip central for those looking to celebrate at one of its many amusement parks. The largest dedicated event is Grad Bash, an exclusive celebration for high school seniors that offers private access to thrilling rides and attractions, live concerts and DJ dance parties. Grad Bash includes access to Universal Studios Florida and Universal’s Islands of Adventure. Of course, Orlando also features Disney World with the Magic Kingdom and Epcot center. Another attraction is SeaWorld Orlando, with its many ocean animals, rides and shows. The newest Orlando theme park is Legoland, which offers entertainment for the entire family. Obviously the main attraction in Daytona is its beautiful beach, but that is far from all it offers. Along a section of the coast lies the Daytona Beach Boardwalk & Pier, which is a collaboration of establishments featuring rides, amusements and an arcade. Just off the beach is the Daytona Lagoon, a water park with fun activities like miniature golf and go karts. Seniors can also visit the world-famous Daytona Speedway, which features a racing museum and several interactive tours that allows students to experience what it is like to be a NASCAR driver. A diverse city with Caribbean influences, Miami is an increasingly popular destination for senior class trips. Along with tropical weather, Miami boasts 15 miles of sun-soaked beaches. The city has no shortage of nightlife, shopping and incredible eateries. If graduates are looking for adventure, nearby Everglades National Park is massive wetland ecosystem with abundant wildlife and opportunities for exploration. 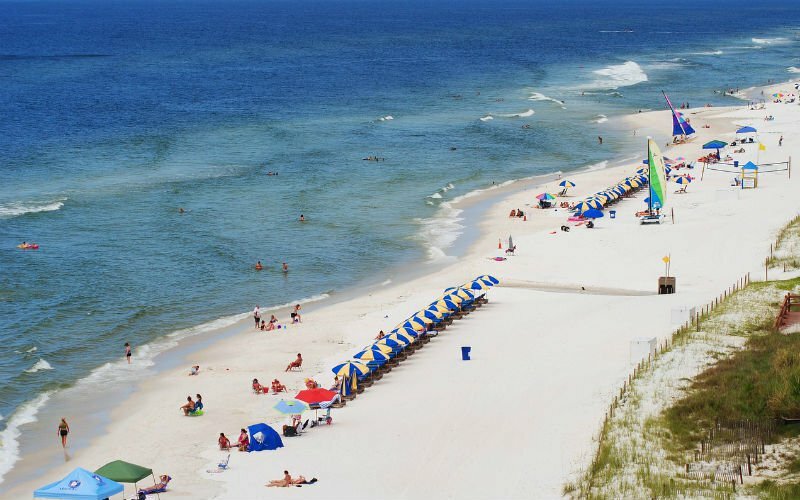 Also referred to as just "PCB," Panama City Beach is a real senior trip hot spot these days. With 27 miles of beaches on the balmy gulf coast, PCB attracts high school seniors from all over looking to celebrate graduation in style. Because PCB has become such a popular destination, there are many concerts, contest and events held at beachside restaurants and clubs that cater to graduates. Panama City Beach also features Gulf World Marine Park and Shipwreck Island Waterpark for family-friendly aquatic entertainment. Get a free quote for your senior trip to Florida!